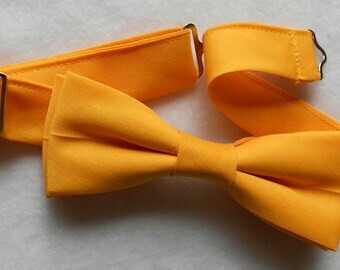 PDF Sewing Tutorial for our popular Bow Ties is now available! Hardware sold separately. Would you like to add this to your DIY projects? 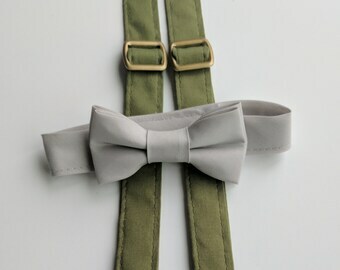 Bowties are great for photo shoots, weddings and other special occassions! 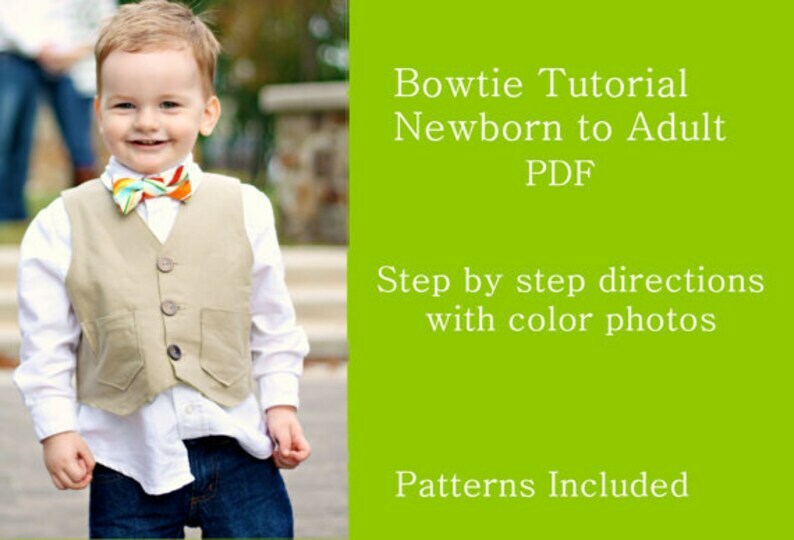 This PDF provides you with step my step instructions with large color photos to make it easy to make your very OWN Bowties with the fabric of your choice! Have fun creating these for yourself but PLEASE do not sell our tutorial or give to other people. I ask that you respect the effort that was put into making this tutorial. Big thanks again to Jennifer Battjer Photography for photo in main image. Perfect size for making ties. Thank you. I accept paypal and credit cards. You have 2 days after purchase to cancel an order after purchase in order to receive a full refund. I am glad to accept returns on items that arrive damaged or incorrect. Please contact me right away and inform me of the problem. I cannot be responsible for items lost or delayed in the mail. Items cannot be returned based on the shade of color. Colors vary from monitor to monitor. If you order orange and I send black, then it is obviously my mistake and I will correct it. If you order "blush" and it looks too "pinky" that is a not a returnable item. If you are particular about colors, please ask for a swatch. Items are made to order. That means the items are custom made for you. This takes time. I am not Walmart, I do not ship the next day. Please look at expected shipment times. Customers love that they can buy something here that they cannot find anywhere else. Please do not expect to be able to return items that have been custom deisgned for you. There is no guarantee that I can sell them to somene else and I will lose money and time. I welcome custom and personalized orders. Please allow up to 5 weeks before shipment on orders of 4 items or more. Custom orders are not eligible for returns or refunds. Items can be embroidered for an additional fee. Please contact me for info on pricing. Please refer to each listing for details on sizing. I can make custom sizes and lengths. Some of my items are available for sale thru the Etsy Wholesale site. I welcome any questions thru this site and am happy to set up wholesale listings thru this site as well. Minimum is $300 (mix and match) for first order and a minimum of $100 each subsequent order. Payment is due in full before items are made and shipped. Suggestions/requests for packaging are welcomed. I package very simply in order to keep costs down so please be aware that vendors may choose how to package and display said items. All hardware goes into the mail within 48 hrs. Current turn around time for custom items is 2 weeks before shipment. Orders with 4 or more items can take up to 5 weeks before shipment. Please contact me if you have time restraints so I can plan accordingly. A rush option is available for packages sent within the United States for an additional fee. Please contact me for additional info.